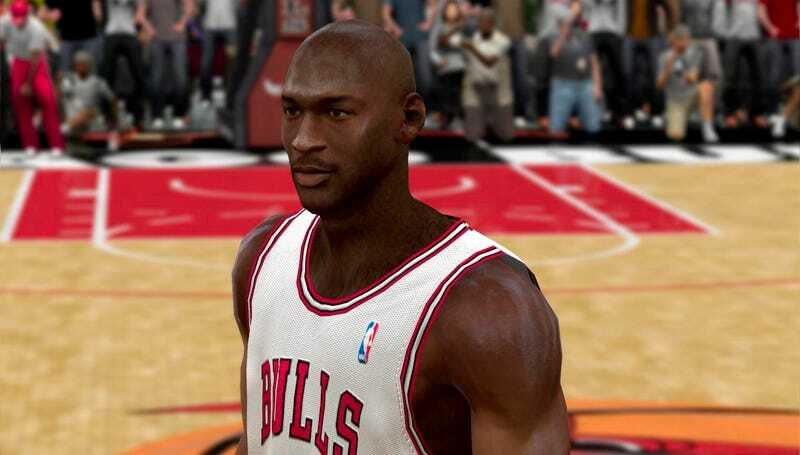 2K Sports just confirmed to CNBC that Michael Jordan, as rumored earlier, will be featured on the cover of NBA 2K11. Asked how Jordan would appear in the game, 2K said only that there will be "some really good surprises." Jason Argent, 2K Sports' vice-president of marketing, confirmed Jordan's appearance and the game's Oct. 5 ship date about an hour ago. "We know we have the best NBA video game ever made here," Argent told CNBC. "So we thought to ourselves how can we embody that and there was only one person on that list who we wanted to have and that was Michael Jordan." Last year's cover went to Los Angeles' Kobe Bryant, one of the two biggest names among active players in the NBA. Topping that was not a sure thing, though. "Actually getting this done is the most ridiculous win of all-time," Argent boasted. Jordan's last appearance in a video game was in 2003 (NBA Street Vol. 2). His business manager said Jordan was aware of demand that he return to a video game, "and this came along and made a lot of sense." In a statement, Jordan said: "It's an honor to be featured on the cover of NBA 2K11. I have no doubt that NBA 2K11 will be a big hit with gamers and basketball fans alike. I'm looking forward to getting back out on the court, virtually."